How to Pick a Tennis Racket for Your Needs! How Do I Pick a Tennis Racket? With so many choices of tennis rackets, it can be difficult to know which racket to choose. However, there are some general guidelines available that may help make your decision somewhat easier. One of the main guidelines that you will want to follow is to choose a size of the racket that corresponds with your playing level. You will also want to consider the cost of the racket. In some cases, this may not include a separate fee that is required in order to have the racket strung (unless you plan to do that yourself). The base price for basic tennis rackets is much cheaper and these rackets typically come pre-strung. More advanced rackets are typically more expensive. What Are the Main Tennis Racket Options? There are three main categories of tennis rackets. The first type of tennis racket is ideal for beginning players who are just learning to play tennis. It is referred to as a Game Improvement Racquet or a Power Racquet. These rackets typically have a large head (107 inches or more), are longer, and do not weigh a lot. They offer new players extra power, but it comes at the cost of control. Two of the most popular tennis rackets in this category are the Wilson K Factor KZero and the Asics 125 Racquets. These rackets are generally among the most affordable and typically come with strings, so there is no added cost after purchasing them unless a string breaks. The second main category of tennis rackets is referred to as Tweener Racquets. This is a mix between the most basic tennis racket and the more advanced rackets, which will be described next. In general, the head is slightly smaller than the Power racket (usually between 95-102 inches). Opting for one of these rackets will give you more control than the Power racket. These tennis rackets are good for intermediate and advanced tennis players. Tow of the most popular tennis rackets in this category are the Babolat Pure Drive and the Head Graphene XT Instinct MP. These rackets are generally a bit more expensive than the Power Rackets. 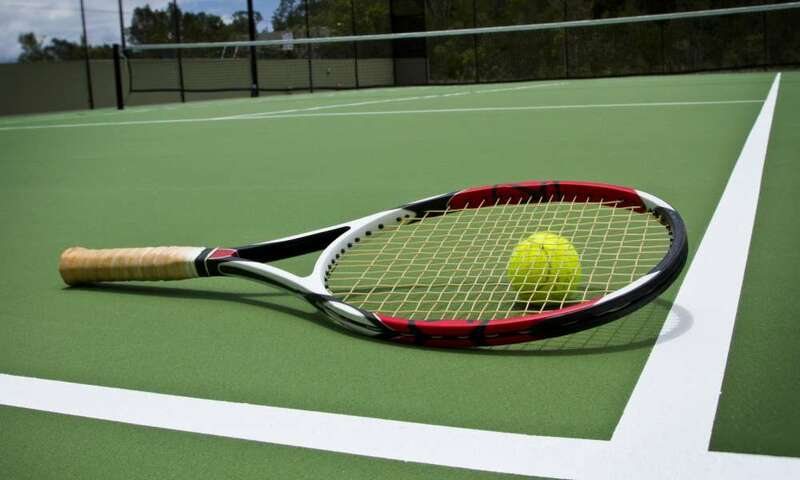 The third type of tennis racket is referred to as the Player’s Racket. These rackets are the preferred choice of professional tennis players and may collegiate players. These rackets have the smallest heads (between 85-98 inches) and tend to weigh the most. They enable players to have maximum control over their racket, but come at the cost of low power. These rackets come in a variety of different lengths. In terms of cost, some rackets are similar in price to the Tweener Rackets while others tend to be a little more expensive. 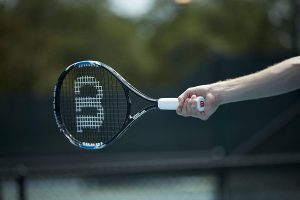 If cost is an important consideration for you, make sure to determine whether or not your racket comes pre-strung or whether you will need to pay to have it strung. Two of the most popular options of Player’s Rackets are the Wilson Pro Staff RF97 and the Prince Textreme Tour 95. What Else Should I Think About When Picking a Racket? Many players fail to consider that there are different types of string patterns. The tighter the string pattern, the longer the strings will last. However, the tight string pattern will not yield as much energy when the ball is hit. Some people prefer a more open string pattern. This type of pattern promotes the use of spin but comes at the cost of having to replace the strings more frequently. The stiffness of the frame is another factor you will want to consider. This varies depending on the material used to make the tennis racket. It may be important to test out a few rackets so that you can see if the weight and stiffness match your needs. When picking a tennis racket, you will need to consider multiple factors. This includes which of the three main types of rackets you are looking for. Pros and cons of each of the three main types of rackets were discussed and examples of each type of racket were provided. Additionally, considerations, such as stiffness of frame and string pattern, were also mentioned.